Instagram photos helps you add a more personal touch to your site and build better engagement with your reader. Therefore, We developed a widget to simplify adding Instagram gallery to your blog. With no spam link, easy installation, and free! All images are straightly directed to your Instagram page. There are two types which you can choose, Grid or Carousel (Click for demo). If you prefer applying the gallery in the form of “carousel slider” at the footer, you can use Carousel. Or choose Grid, which has a simpler look for the sidebar. 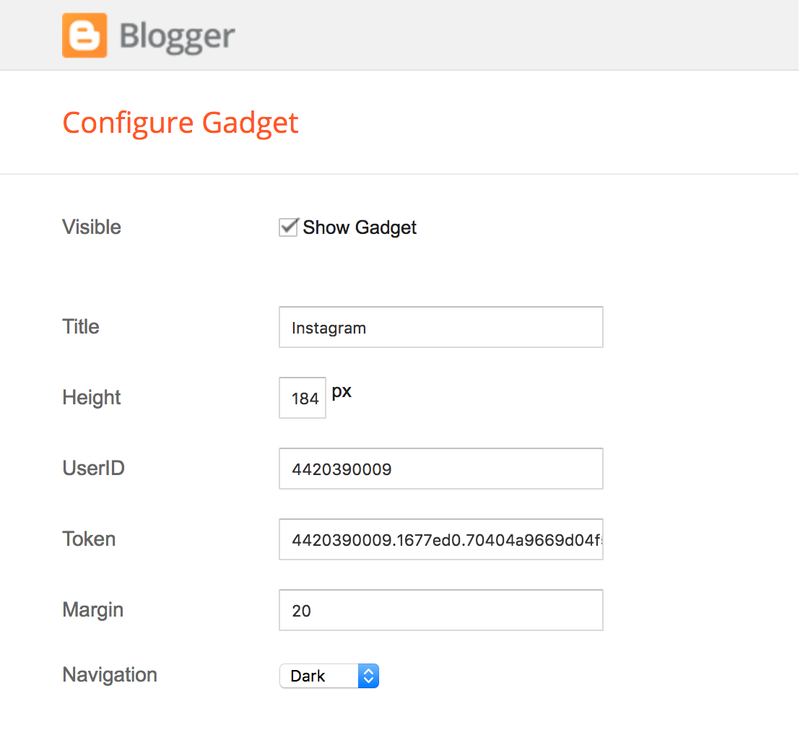 To start, click Add a gadget on the Layout page from your Blogger account. This will bring a pop-up window to show. Navigate to Add your own, copy one of the following URL and paste it to the available form. Then, click Add by URL link (or simply enter). Each types (Grid and Carousel) has a small difference in the configuration, but the most important thing is both of them need User ID and Token which allow your blog to access and display photo in the sidebar. Insert the code to the gadget corresponding column. Done! If you ever use the other third party services e.g. SnapWidget, you might realize that the image is not linked directly to your Instagram page, at least with the free option. This is the reason why we developed our own Instagram widget which offers flexibility and a wide range of options. The best part is? It is free, forever. Not working with https :( Help!